Call our friendly team to discuss your packaging requirements or to arrange a no-obligation visit by one of our sales executives on 01487 823222.You can also fill in the form below. Exit the M25 at Junction 27 on to the M11 Northbound toward Stansted and Cambridge. Continue on the M11 until it merges onto the A14 after approximately 46 miles. Continue a further 16 miles on the A14 and exit at Junction 23. At the top of the slip road, take the third exit at the roundabout onto the A141 signposted March. Continue to follow the A141 towards March over the next three roundabouts; at the fourth roundabout take the first exit, still on the A141 toward March. Follow this road for approximately 6 miles crossing three roundabouts. Approximately 1 mile after the third roundabout turn left into Manchetts Haulage yard. Bear left again and you will see our warehouses located at the far end of the site with signs towards our reception. 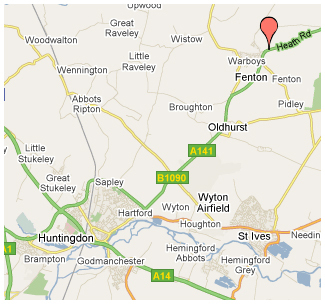 From the A1 Northbound, on reaching the Brampton Hut Interchange roundabout take the third exit onto the A14 signposted Huntingdon. If approaching from the A1 southbound take the first exit at this roundabout. After approximately 3 miles take the second exit at the roundabout onto the A141 signposted March. Continue to follow the A141 towards March over the next three roundabouts; at the fourth roundabout take the first exit, still on the A141 toward March. Follow this road for approximately 6 miles crossing three roundabouts. Approximately 1 mile after the third roundabout turn left into Manchetts Haulage yard. Bear left again and you will see our warehouses located at the far end of the site with signs towards our reception.